It’s common practice to invoke legendary sports coaches when discussing best management practices. This is not one of those articles. If you spend any time reading articles and blogs on sales management, you’ve already come across dozens of articles, infographics and other content reverently conveying the wisdom of Vince Lombardi, John Wooden, and other famous coaches. And for good reason. The leadership qualities of men like Lombardi, Wooden, Krzyzewski, and the like translate well to the business context. Here at the Ambition Blog, however, we’re big believers in the power of inverse learning — seeing what fails, then doing the opposite. And lo and behold, we’ve found 10 outstanding examples of nefariously bad coaching tenures worth revisiting. Sales Managers, it’s time for some inverse learning. 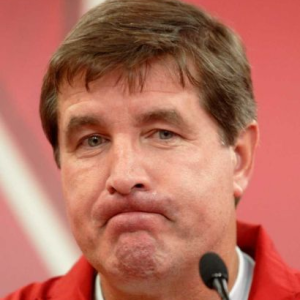 The following is a list of 10 supremely awful coaching tenures. If you were a fan of one of these teams during a tenure that’s listed, there’s a 100 percent chance you remember it. Just not fondly. These aren’t just mediocre or un-spectacular coaching tenures, they’re ignomious. Many of these coaches had spectacular tenures at other points of their career – just not here. And there are lessons to be had. Les Steckel was a former war hero who thought putting his 1984 Minnesota Vikings through boot camp would turn the team around. As it turned out, going Drill Seargant Hartman on a bunch of grown men who’d just played under the leadership of the grandfatherly Bud Grant didn’t lead to victory, though it did give the Vikings and their fans a case of PTSD. 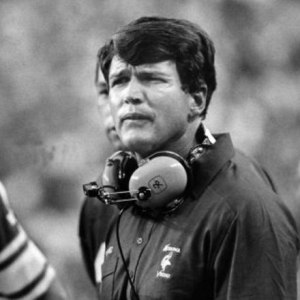 “I’ve led 210 Marines and 80 Vietnamese soldiers into combat, so don’t talk to me about being a head coach,” Steckel once famously said. “[Les] tried to run a professional team with a high school attitude.” Said one. “I sense a huge sigh of relief.” Expressed another. Not the most resounding endorsements. Sure enough, they came following Steckel’s termination…after just one season. It doesn’t matter how many shameless, transparently contrived P.R. pieces-passing-as-journalism get written about him. 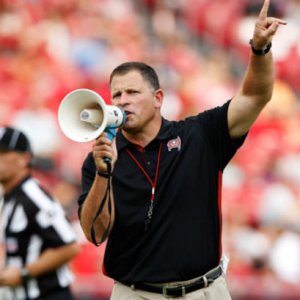 Greg Schiano is never going to blaze a comeback trail as a professional football coach. Why? An abject, continuous failure to treat his players with respect, or even like adults. It’s one thing to have an old-school mindset and also be cognizant of the Grand Canyon-esque culture gap between you and the young people you train. It’s another thing entirely to be manipulative and condescending to your personnel. The point is, you have to at least attain some degree of empathy for those you coach, or otherwise risk seeing your top performers quit on you. Twizzlers in hand. ​If there’s one thing that characterizes an utter nadir of leadership, it’s an outright refusal to accept blame for failure. 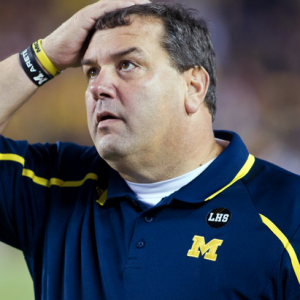 Well, Brady Hoke decided it wasn’t enough just to fail, but to risk his starting quarterback’s physical well-being in the process. Last year, Hoke made national headlines (in a bad way) by having a clearly-concussed Shane Morris get back in the Wolverines’ Big 10 matchup with Minnesota after just one play on the sidelines. 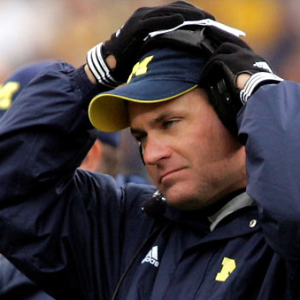 A post-game quote from Hoke: “Shane’s a pretty competitive, tough kid. And Shane wanted to be the quarterback, and so, believe me, if he didn’t want to be he would’ve come to the sideline or stayed down.” Translation: Play hurt, or get benched for the rest of the season. If your team is struggling to perform, the path to a turnaround is not to bring everyone in on Saturdays and Sundays, including the guy whose wife just went into labor the night before. That’s the Brady Hoke approach, and it’s the best way to lose the respect and commitment of your team, your organization and those who support you. The hottest coach in college basketball during the mid-90s, Rick Pitino thought he could bring the same system that brought three Final Fours and a National Championship to Kentucky to the NBA. End result: Catastrophic failure. 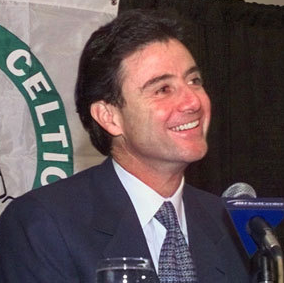 Pitino’s approach was akin to a best-in-class Inside Sales manager taking a transactional B2B method to selling Boeing jet engines — destined for disaster. Pitino had other misadventures that prove instructive to sales managers. He eschewed stellar potential talent to bring in his own players (rationale: they knew his system). He also grew indignant and defensive when questioned about the team’s performance. “Larry Bird is not walking through that door” remains a classic audio clip and staple of any “coaching meltdown” montages to this day. If you can’t take the heat, get out of the kitchen. And make damn sure you don’t try to take it off you by pushing it onto your sales team. Gillespie was notoriously tough on his ill-fated Kentucky hoops squads (ESPN writer Dana O’Neil recalled following the team for four days and never once hearing Gillespie have a non-basketball related conversation with a player). 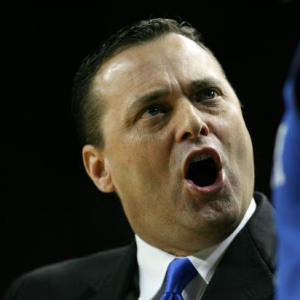 He was also loathsome towards the spotlight, the media, and the public figure-side of the Kentucky Head Coaching position. He let personal problems affect his performance. Gillespie’s disastrous tenure with UK started and ended in public calamity, and throughout its entirety, he put on a clinic on how not to coach a team or hold a leadership position within an organization. For that, at least, it’s time Billy Clyde receives the due credit he deserved. You’ve got to give Lane Kiffin credit for consistency — he’s had 3 head coaching stints and in each one, he’s succeeded in making his own fanbase despise him the way most people despise paying taxes or going to a new M. Night Shymalan movie. Kiffin is a walking example of the perils of nepotism — promoting or appointing an organization member on the basis of his or her personal ties, rather than actual experience, credentials or prior performance. To be sure, Kiffin was an excellent Offensive Coordinator at USC, but he was handed the keys to three kingdoms — the Oakland Raiders, Tennessee Volunteers, and finally the Trojans — and was unable to back up his (in)famous bravado with championships, or anything even relatively close. Kiffin also utilized dubious recruiting tactics, traded petty insults with other coaches, and did everything short of burning down an orphanage in developing his poor reputation. 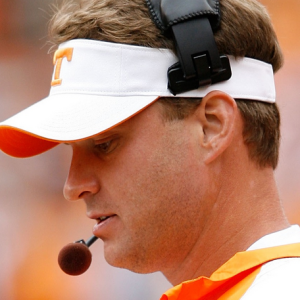 Sales Managers: Study everything Lane Kiffin did, then do the opposite. ‘Legendarily bad’ may be a strong way to describe Callahan’s 2004-2007 stint at Nebraska, The team went 9-5 and won the Big 12 North one season. But the real problem was Callahan attempting to change the culture and philosophy of the Huskers in a way that not only deviated from what made it a legendary program, but was the polar opposite and made little sense given the geographic location of the team. If you go into an organization that has built an iconic legacy on doing things one way (in this case, playing old school, tough-as-nails, three-yards-and-a-cloud-of-dust football), you are taking a massive, ill-advised risk by throwing all of that out the window and attempting to implement a new-age, West Coast offense. In Callahan’s case, trying to engineer a complete, inside-out overhaul of Nebraska football culminated in losses that were not only blowouts, but downright affronts to the legacies of the Frank Solich-coached programs of years past. (A 76-39 loss to Kansas? Really?). Sales Managers: Learn from Callahan’s mistake when entering a successful organization, and utilize the positive aspects of its existing culture and legacy to your benefit, rather than trying to transform the organization into something it’s not. For some famous public figures, the path from the mountaintop back down to irrelevance is a slow, steady southward glide that, while painful, still proves more graceful than other falls from grace. The alternative downward route I’m talking about is the one blazed by Rich Rodriguez, who trekked it faster than any other Head Coach unassisted by some fantastical personal scandal. (Which is why he’s on this list and Bobby Petrino, George O’Leary, and Mike Price are not). In November 2008, “RichRod” was the hottest coach in the country, set to do the borderline unthinkable and lead the West Virginia Mountaineers to their first National Championship game in history. Then came the dazing blow — a stunning, at-home loss to 4-7 arch-rival Pitt (hey, alma mater) in the final game of the season — setting up Mountaineers fans for the knockout punch Rodriguez delivered the following month: The announcement that he was leaving to take the Michigan job. Because West Virginia fans were due some unreal karma, Rodriguez’s first Michigan team finished 3-9, the worst season in school history and crash-ending to a 33-year Bowl Game streak. It was just the tip of the iceberg. Like Gillespie at UK, Rodriguez proved fundamentally ill-equipped to handle the pressure and expectations that accompanied leading a big-time program like Michigan. Also like Gillespie, Rodriguez let that pressure clearly affect his ability to coach and lead his team. (Example: Justin Boren transferred from the program to rival Ohio State (and became First-Team All Big 10), citing offensive behavior and a “lack of family values” from the coaching staff). End result: A swift, ignomious exit and the beginning of a long fall from the coaching mountaintop. Prior to 2011, the vaunted Ohio State Buckeyes were one of two programs (the University of Tennessee being the other) in college football history who had never lost 8 games in a season. 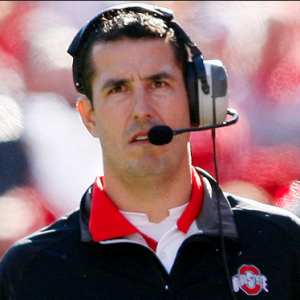 Following the Terrelle Pryor scandal and subsequent ousting of Jim Tressel as Head Coach in 2010, the unproven Luke Fickell was appointed Head Coach. He promptly lost 9 games in his first and only season in the position. As a lesson on executive management, the inept tenure of Fickell, a OSU-lifer often heralded for his work ethic and loyalty to the program, is a case study on over-emphasizing organization loyalty when making a hiring decision. Before you give Fickell credit for OSU’s National Title this year, let’s remember that the Buckeyes’ D was so bad in 2012 and 2013 that Urban Meyer brought in a Co-Defensive Coordinator this year (that’s actually a thing?) who, rest assured, was definitely the one calling the shots during the Buckeyes’ incredible Championship run. The lesson: Loyalty and talent are not one-in-the-same. Didn’t expect to see Lou Holtz’s name on this list, did you? 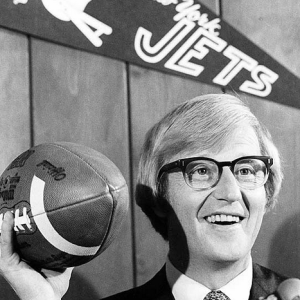 But sure enough, for one, awful season in 1976, Lou Holtz helmed the Head Coaching position for the New York Jets. And nothing screams “legendarily bad coaching tenure” like a 3-10 record and resignation before the season could even end. From the start of his Jets tenure, Holtz seemed out of place in the NFL. He would line his players up by size during the national anthem, and even wrote a team fight song that none of the players wanted to sing. In other words, he, like Pitino with the Celtics, tried to bring a collegiate coaching style and system to a professional team. The result was like mixing oil and water, which is why you should always be sure to tailor your sales management style and process to the needs of your organization, rather than vice versa. We hope you learned a little bit more about sales management today. Not every important executive leadership lesson has to come from a Lombardi or a Wooden. The Schianos and Kiffins of the world can teach sales managers just as much. Thanks for reading.